No one can say Richard Cordray didn't try. 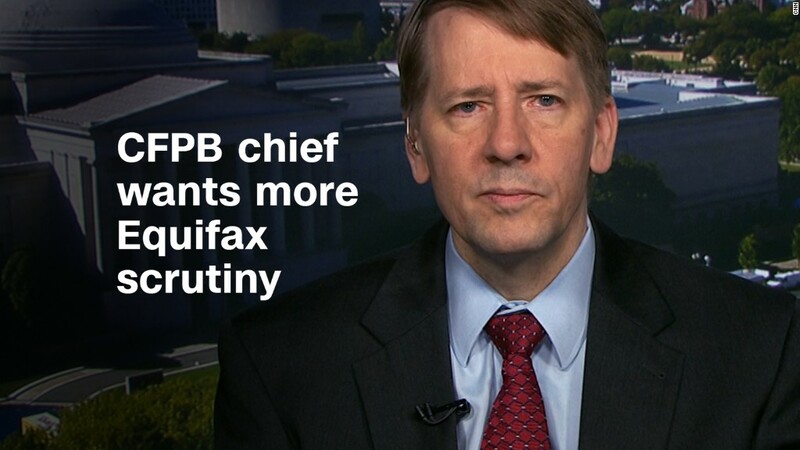 On Monday, the head of the Consumer Financial Protection Bureau made a last-ditch plea to President Trump to preserve a rule that makes it easier for Americans to band together to sue banks and credit card companies. The Senate voted to repeal the rule last week, and the measure now awaits Trump's signature. "This letter is not about charts or graphs or studies. Instead, it is simply a personal appeal to you, asking you to uphold this rule," Cordray said Monday in a letter to the White House. Trump seems unlikely to be swayed. The White House applauded last week's Senate vote, and said in a statement that there's clear evidence "the CFPB's rule would neither protect consumers nor serve the public interest." Cordray acknowledged this in his appeal. "Many have told me I am wasting my time writing this letter -- that your mind is made up and that your advisors have already made their intentions clear," he said. "But this rule is all about protecting people who simply want to be able to take action together to right the wrongs done to them." Cordray went on to explain how Trump can view the rule through his business experience. "I am aware that over the course of your long career in business you often found it necessary to go to court when you thought you were treated unfairly," he said. "Of course, most Americans cannot afford to do this on their own, so they have to band together to be able to fight companies." He cited Wells Fargo (WFC) and Equifax (EFX) as examples. He also called Trump a "smart man" and referenced members of the military, who Trump sees as among his top supporters. "I think you really don't like to see American families, including veterans and service members, get cheated out of their hard-earned money and be left helpless to fight back," Cordray wrote. Cordray, who is believed to be preparing a run for governor of Ohio next year, is an unpopular figure among Republicans. In the past, some members of Congress have called on Trump to fire him.